Hello blog friends and welcome to Day 3 of our designer challenge with Maya Road! This week we're creating some amazing art with newly released dies from Maya Road, Stick It, and the amazing Tool-It-All! I am so excited to feature the wonderful work of Jessica Frost-Ballas. I know you are going to love what she's created. I've only recently met Jessica, and here's another little thing you'll want to know about her before you visit her blog...she is also a professional harpist. (I think that is really cool). Her cardmaking style is exquisite! I can get lost in her blog for hours. When you visit Jessica's blog, leave a comment to be entered in our contest and give-a-way! That's all you'll need to do to be eligible for a fabulous prize pack that includes a pack of Stick It Adhesive and the amazing Tool-It-All! And, you wanna know what? 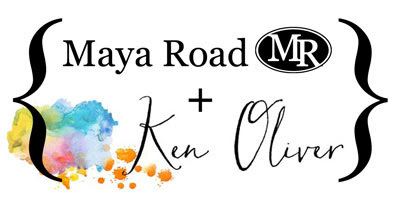 You can visit Maya Road's blog for a change to win too! Please remember, our designer challenge is a contest! Make sure to leave a comment for Jessica and you'll be eligible for a fabulous prize pack that includes a Tool-It-All and some Stick It adhesive! Since this is a contest, we're going to let everyone leave comments open until Sunday night, October 25th. The prize winners will be announced on Monday October 26th. And, if you will, please let your friends know about our designer challenge and contest...share our posts to Facebook and Instagram! You can also go back on comment on days 1 and 2 for even more chances to win. Thank you for stopping by today to see how we've been creating with the newest dies from Maya Road, Stick It, and the Tool-It-All! Making beautiful things has never been easier! These make my heart and soul SMILE!!! TFS! 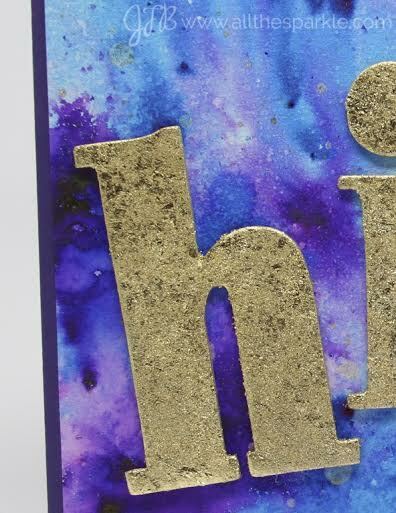 Hmmmm.... that project with the Color Burst background is making me "hi." Think I'll pop over and see the rest of it. So cool to find out that she is also a musician. I love the shading in the background. The Stick-it will make embellishing the letters so much easier. thanks for swapping with Maya road. It's been a great hop. love the colorburst. great hop. What gorgeous colors!! It's been a fun hop! Wowzers! Love the richness in the BG ! Thanks for sharing so much talent for this amazing blog hop! BOTH of Jessica's cards are GORGEOUS!!! LOVE the MAGIC of the Color Burst backgrounds, LOVE the ELEGANT designs!!! loving the bright, stunning colors on this! Awesome! Thanks! Color Burst and Maya Road....what a combo! Lovely colors and designs on her cards - thanks so much! I am always looking for ways to use Color Burst colors!! Hello... I was popping in to look for the winner's post but I don't see it... I hope I remember to check back later... thanks!